Fiamma awnings are manufactured in our factory in Cardano al Campo, Italy, made with state of the art technology. 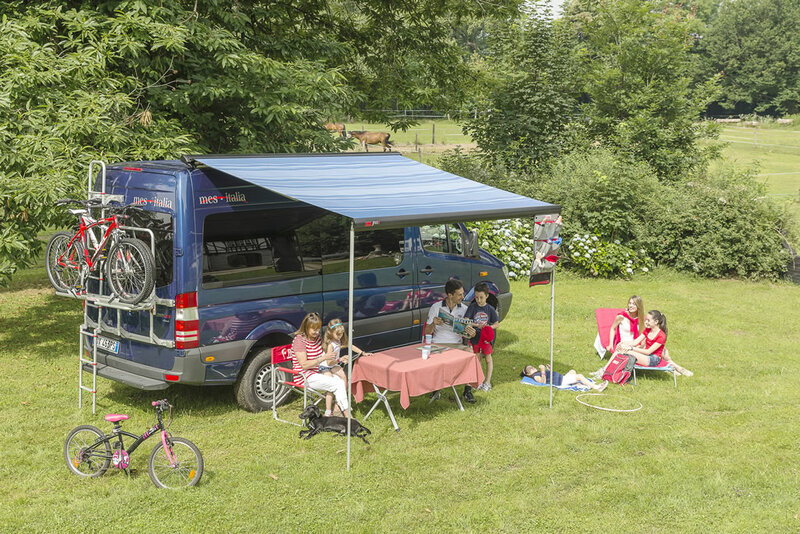 Whichever vehicle you have, Fiamma offers you a variety of awning options with some great solutions. 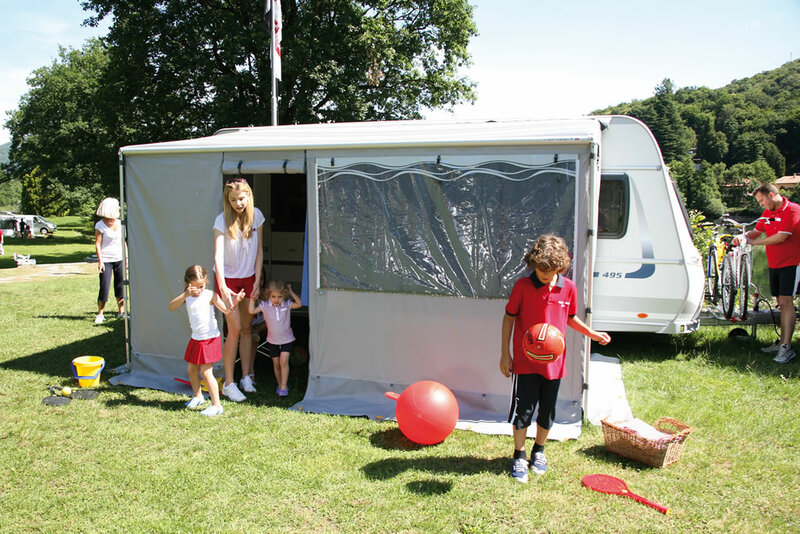 We offer awnings and enclosures for motorhomes, caravans, van conversions and camper vans. We offer a choice of winch opening or manual opening awnings with different finishes (case-box) and many different fabric colours. A wide range of brackets are available to meet almost any requirement. Double your living space with a Fiammastore: the most reliable solution on the market today, elegant simple and easy to use! 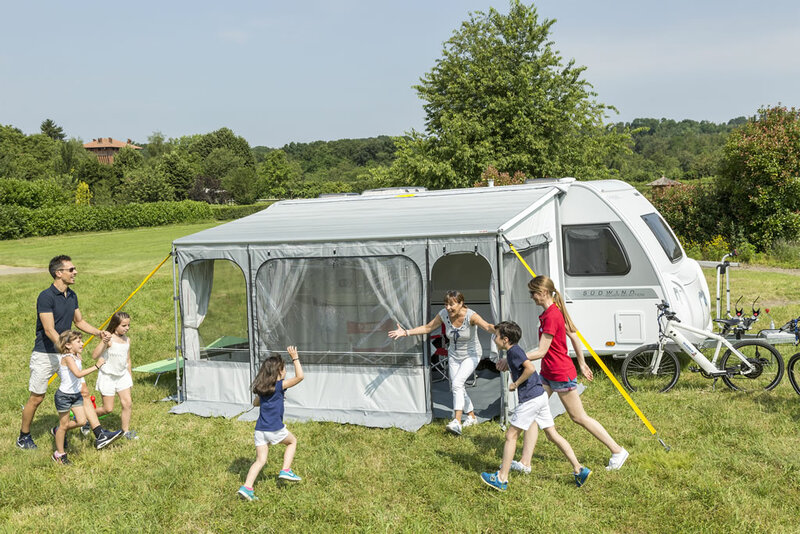 Fiamma manufactures the only awning with silent opening thanks to the German TÜV certified Auto-Lock self-locking winch safety system: with its exclusive long life Aluminium mechanical parts, it offers you a quality product vastly superior to other comparable noisy hook release mechanisms on the market. The security of Fiamma awnings is also guaranteed by the Dual Security system. The device indicates the correct closure of the front bar by two small plastic flags inside the side end caps. 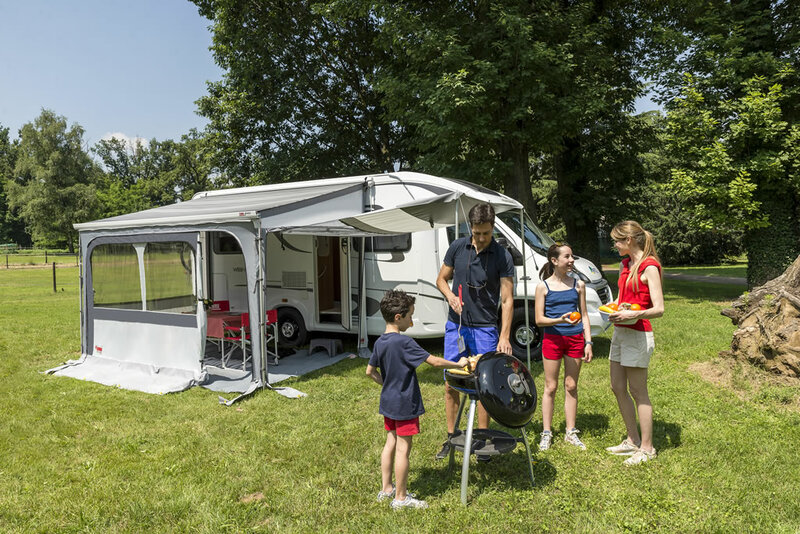 The Fiamma Awning is the only awning with a patented adjusting system that enables you to gauge the closing of the front bar. If over a period of time, one side should stop closing perfectly due to fabric and arm movements, you can use the Presto Fix to realign the closing of the front bar. Have you ever completely retracted your awning only to find that the canvas has rolled the wrong way around the roller tube, meaning that it no longer closes? Not possible with a Fiamma awning! The One Way Roll is an ingenious patented mechanism that prevents the canvas from ever retracting the wrong side of the roller tube. You can’t go wrong! 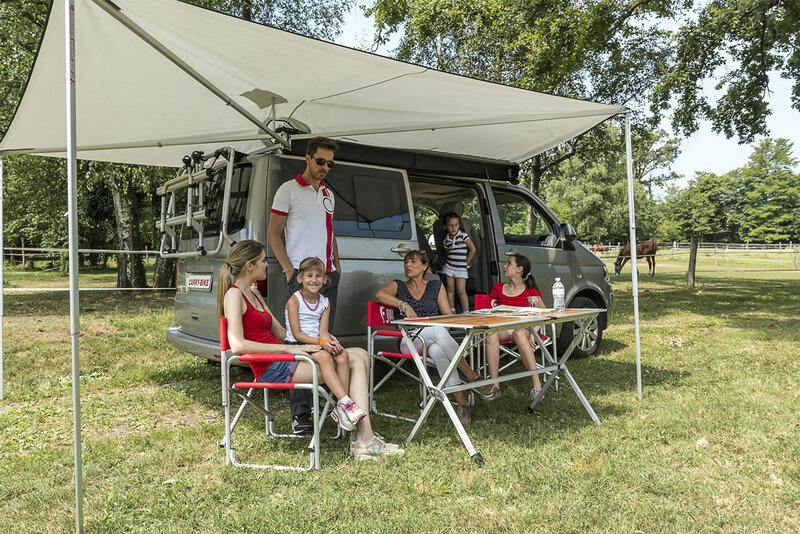 Only Fiamma has the Dual Shock-Absorber which protects both your vehicle and your awning. The arms are fixed with the certified double bolt system “Double-Block” which grants more stability and ease of regulation. Highly resistant reinforced articulated arms with strong 3.5 mm wire cables. They are proof tested for more than 10.000 cycles of opening and closing and can maintain a steady fabric tension of up to 32 Kg. 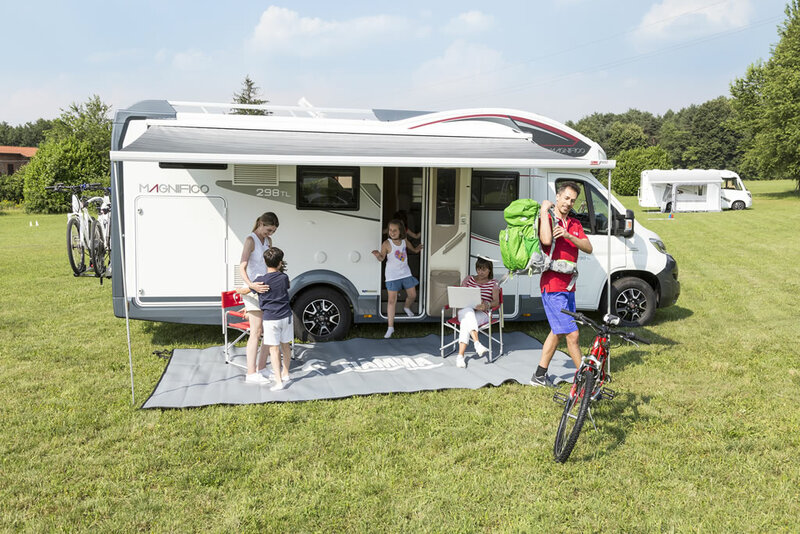 All Fiamma awnings are equipped with a double guide on the lead bar allowing the installation of two front panels, for example: Privacy Room and Sun View XL, Blocker and Tie Down S, Sun View XL and Awning Hangers. The telescopic system of the legs with manual locking allows the regulation of the lead bar height. This system allows you to regulate the height of the awning according to your needs. 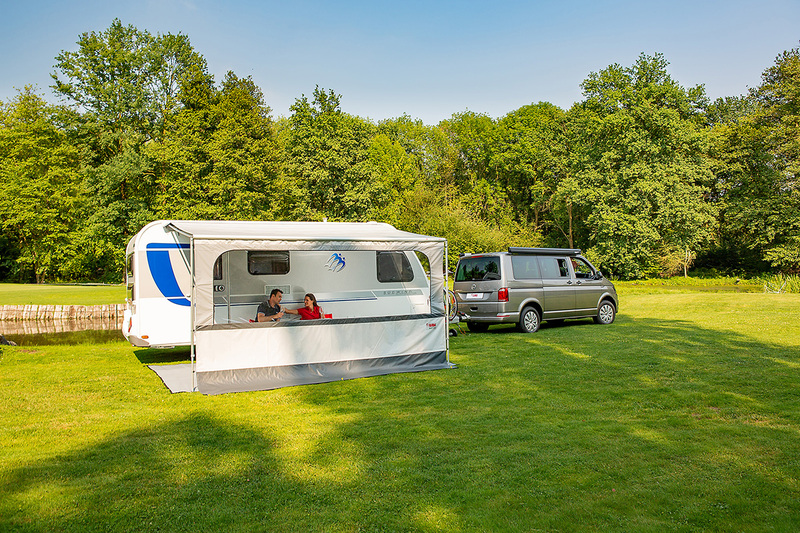 Fiamma Awnings have a dual fixing possibility for its incorporated legs: to the wall and to the ground. 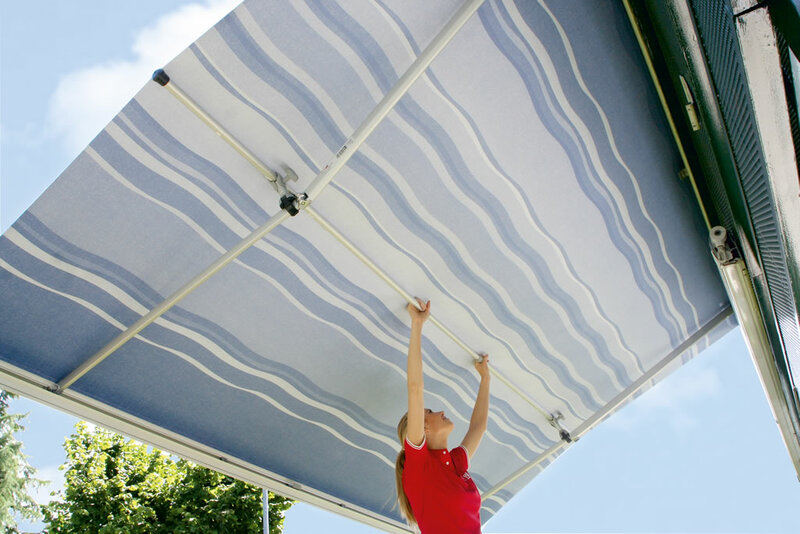 The Fiamma canopy fabric guarantees higher resistance to UV rays. It does not fade in the sun and the absence of seams allows high resistance to water and tearing. It is flame-retardant, can be rewound when damp, is UV-resistant, rot-proof and waterproof. The right awning for any vehicle! 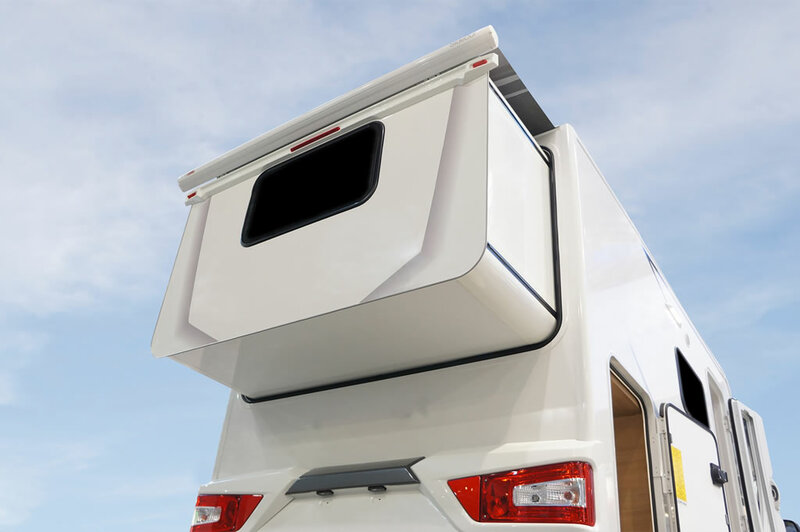 Fiammastore awnings are available in different finishes and colours to match the design of any RV. Top quality materials and production processes with state of the art technologies, are a guarantee of reliability and durability. Several models available, winch or electric opening and closing. Lengths from 190 to 550cm. The awning for Pop Out Walls. 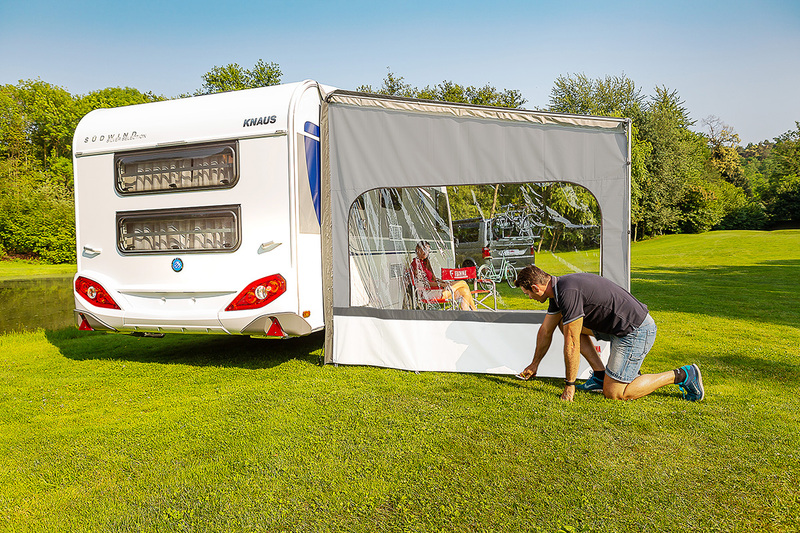 Fiamma offers a complete solution: manual or automatic awning equipped with an enclosure, complete with front and side panels with special sturdy zippers. Fiamma offers several solutions to add an enclosure to your winch awning. Find the most suitable model for your needs. 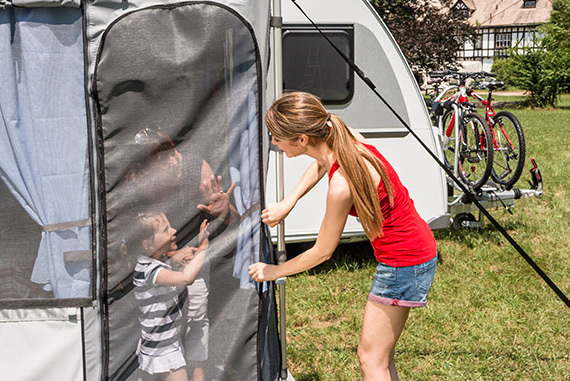 Here is the enclosure that allows youto double the living space of your manual awning. 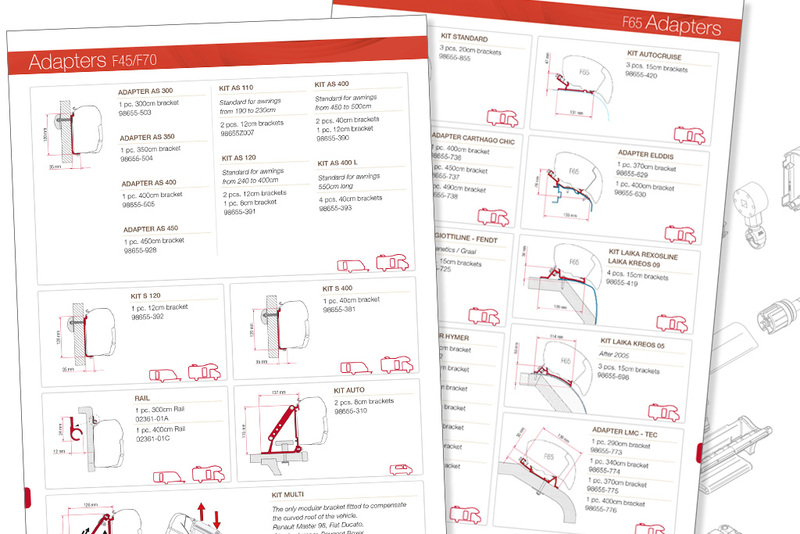 Full range of accessories available, from canopy tensioners to everything else. Full range of accessories available for your enclosure.